Mococo are high street and online retailers of fashion jewellery, selling designer brands that include Pandora, Thomas Sabo and Swarovski. Established in 2006 as single high street store in Ruthin they have expanded to seven high street stores, along with their eCommerce website. Our client first engaged us to identify opportunities to increase sales through their web site. This rapidly expanded into a wider digital strategy. In February 2017 Mococo achieved Feefo Gold Trusted Merchant status. 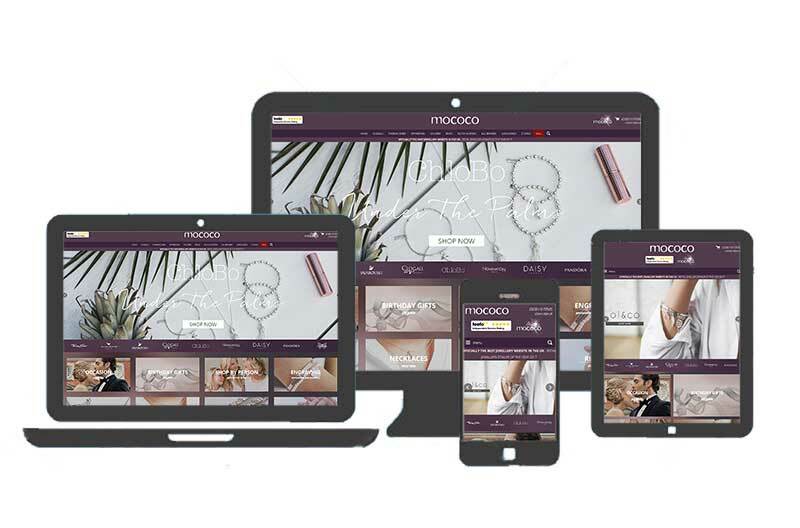 In June 2017 Mococo won online retailer of the year at the Retail Jeweller Awards. We're proud to have played a part in our client achieving these recognitions. The digital strategy we helped Mococo pull together is built on our client's core strengths, particularly in relation to excellent levels of customer service, both in their high street stores and via their web site team. The strategy supported growth in sales and the number of customers they are able to engage with through email and social media channels. Prior to our involvement Mococo had experienced mixed success with paid search and email marketing. We encouraged Mococo to adopt a testing approach to email campaigns. We also planned and executed Google Adwords campaigns. Mococo also ramped up their social media activity. These activities produce a rapid increase in sales and a 200% growth in their customer mailing list, over a 12 month period. Mococo have an online catalogue that exceeds 10,000 products. Optimisation of category and product pages is consequently an ongoing process. We have supported Mococo in this area by regularly reviewing opportunities for them to improve rankings.